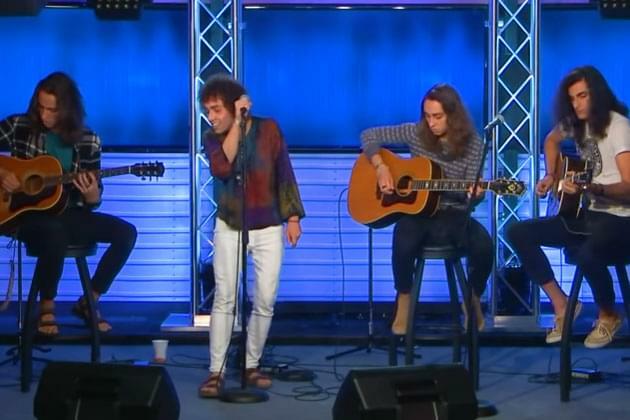 The boys in Greta Van Fleet have released their full length album, “Anthem Of The Peaceful Army”, and are off and running with massive amounts of touring as well. These guys are the biggest buzz band in the world of Rock, and have critics and fans alike excited for just about everything they are producing. The band is prepping their new single, “You’re The One”, their first ballad, with soaring vocals, and yes, another comparison to the early sounds of Led Zeppelin with the structure of this song, which sounds like it could have been released in 1975. Despite the retro sound, this is an excellent song, and the band is going to get even bigger with the release of this single, something tells me. The band has just released the ‘Unplugged’ version of the song, check it out! Greta, Baby!